On this page, we will be breaking down some of the common signs and symptoms that you may have if you experience photophobia. Once we are done with this, we will explore the popular treatment options and advice for handling this condition. When a word contains the suffix “phobia,” it relates to one’s fear of something. In the literal sense, the word photophobia means that you are afraid of the light. To eliminate any potential for confusion, though, it’s important to note that this is not actually what this word means. Those who suffer from photophobia are not necessarily afraid of light at all. 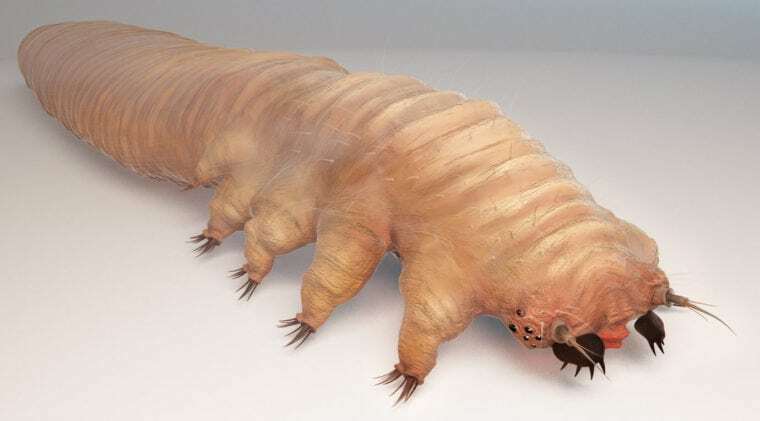 They have eyes that are very sensitive to light. This means that if you have photophobia, you will have a greater light sensitivity than someone who doesn’t have photophobia. Having photophobia can be a very difficult problem to deal with. Whether you think you may have photophobia or are simply searching for some information, we are here to help you understand photophobia and how it is viewed upon by the medical community. Having eyes sensitive to light can be very uncomfortable since it forces you to experience sensations which make it much more difficult to live your daily life as easily as those who don’t have eyes sensitive to light. In reality, with the right level of brightness, everybody can have eyes sensitive to light. The level of sensitivity isn’t the same for everybody, though. This is why it is important to become educated on photophobia and the different levels of extremity and many different potential causes. To start us off, let’s look at some of the basic background information before exploring the many different causes, signs, symptoms, and treatments in greater detail. For starters, those who have photophobia don’t necessarily suffer from a disease. It is a symptom of many possible conditions. The human eye is supposed to be able to observe its surroundings during the daytime with little-to-no discomfort. Of course, there are exceptions to this. For example, walking outside and looking at a field full of fresh snow on a sunny day will irritate the eyes of just about anybody. Or, looking straight into the sun would definitely be irritating and harmful. 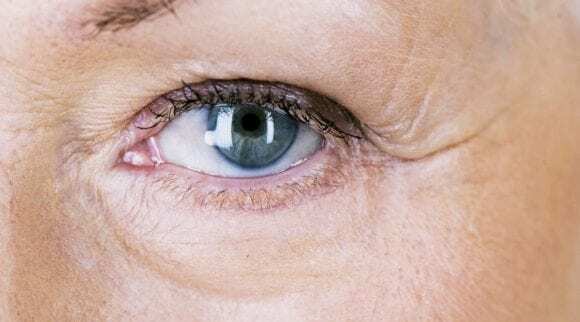 If you find yourself squinting when just about everybody else around you doesn’t have this problem, though, it is time to consider whether or not you may have photophobia. On this page, we will describe many of the most common reasons some people have excessive light sensitivity. For starters, it’s important that there is no particular cause that we can pinpoint. There are many reasons why you can have eyes sensitive to light. Unless you have recently suffered from trauma or have an eye condition of some sort, it might be difficult for you to pinpoint the reason you have photophobia without getting a comprehensive diagnosis from an eye doctor. Although we will do our best to help you pinpoint the many different potential causes of photophobia, those who have this problem may still have to go and get a proper diagnosis. As we mentioned, everybody has eyes which are sensitive to light occasionally. When put to test with the right level of brightness, everybody has light sensitivity. Photophobia can be used to describe your light sensitivity when it surpasses the level of sensitivity to the majority of other humans. An eye doctor can best tell you how your light sensitivity compares to other people with photophobia. In extreme cases, it may be best for you to use special contact lenses or glasses which help you to see in bright environments without experiencing the symptom of photophobia. Related: Visual Acuity: What is 20/20 Vision? Later on, we will break down all the many different treatment methods for those who have photophobia. In order to best treat photophobia, you will need to first start off by getting a proper diagnosis of your condition so that you can understand what causes your light sensitivity in the first place. Without this, it will be a lot harder to treat your light sensitivity. Regardless, here are some of the most common ways to treat photophobia. As mentioned, you will have a difficult time treating photophobia without first determining why you have the problem in the first place. Until you are able to pinpoint what caused your specific case of photophobia, finding the right course of treatment is possible. Before we discuss what treatment methods are best, it’s important that we first discuss the most common symptoms and causes of photophobia. One of the most common reasons why photophobia can be so difficult to handle is that it doesn’t necessarily mean that you are just sensitive to light. There is common pain associated with light sensitivity that makes it considerably much more difficult to deal with. Usually, the pain comes in the form of migraines and/or headaches, but can also be felt on the eyes themselves. In order to help you pinpoint the best form of treatment for your photophobia, knowing some of the main causes will help you pinpoint the best course of action. Photophobia and having eyes sensitive to light isn’t a condition by itself. It is the result of other conditions and problems. Here are some of the most common causes of photophobia. Just be sure to note that this is not, by any means, a comprehensive list of the many different potential causes of photophobia. In order to ensure that one of the following possible causes is relevant to your personal circumstances, make sure that you pay a visit to the doctor to get a proper diagnosis. Your eyes have natural defenses against light in order to ensure that you are able to experience bright lights without it harming your vision. Or, causing any sort of discomfort while walking around on a sunny day. After all, our eyes are the result of countless years of human evolution and progress. When you have an abnormal level of light sensitivity, you might have either a foreign object in your eye or have recently injured your eye somehow, and this might be the source of your photophobia. In any case, those who have recently gone through some sort of eye trauma should go straight to the doctor in order to ensure that this doesn’t turn into something much worse. With either of these conditions, you’ll experience lots of eye pain along with your sensitivity to light. In simple terms, uveitis is an inflammation that occurs in the middle layer of your eye (or the uvea). This is the part of your eye which helps supply blood to your retina. Since the retina is inherently sensitive to light, those who have uveitis can also have symptoms of increased light sensitivity. Although this condition usually isn’t serious, it can be. Accordingly, it’s best that those who may have uveitis go straight to the eye doctor to get a proper diagnosis and to determine whether or not they will need to receive further medical assistance. After all, serious cases of uveitis can even result in vision loss. In addition to photophobia, uveitis can come along with blurred vision, dark spots in your vision, and pain in your eyes. You’ll often notice that one or both eyes will be red, and this condition may come and go. On the outer part of your eye is a small and clear layer of tissue that we call the cornea. The cornea is a very important part of your eye since it both helps protect the interior, and helps your tears move around and lubricate and protect your eyes. When you have a corneal abrasion, there is a scratch on your cornea. Corneal abrasions can be caused by an array of sources. For example, having dry eyes which don’t produce enough tears can cause your cornea to split due to the excessive dryness. One of the worst corneal abrasions often occurs due to a baby’s tiny fingernails. Watch out for those! Anyone who has experienced a corneal abrasion knows the pain and sensitivity that comes with it, because you’ve disrupted the corneal nerves. If you have migraines, it may also make you a lot more sensitive to light. Although the pain from your migraine may not necessarily come along with pain on your eyes themselves, bright lights tend to make the migraine symptoms a lot worse. If you have problems with migraines, it is really common that it will come along with photophobia. When your migraine symptoms occur, go through the treatment steps recommended to you by your doctor. In any case, though, make sure to stay in a dim place during the course of your migraines. Otherwise, the pain you experience from your migraine can become a lot more intense and uncomfortable to deal with. This is one of the most serious eye conditions that one can develop since it can result in a complete loss of vision. Along with other symptoms such as having blurred vision, reduced peripheral vision, or flashes of light, one of the most common symptoms of a detached retina is increased sensitivity to light. If you have found yourself experiencing some of these symptoms, it is important that you go straight to the doctor. If left untreated, a detached retina can result in permanent and irreversible damage. It is common for those with detached retinas to quickly lose their vision for the rest of their life if they don’t receive quick medical attention. The sclera is the white of your eye that covers the large majority of your eyes’ exterior. In fact, about 75% of your eye is covered by the sclera. 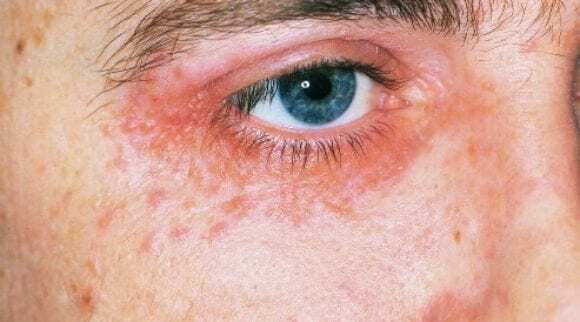 When you have scleritis, your sclera becomes severely inflamed and red. Outside of the pain and discomfort that this condition can cause, it can also come along with eyes sensitive to light. Along with pain, blurry vision, tearing, and redness, scleritis can also come along with photophobia. To treat scleritis, you will need to pay a visit to your doctor. In most cases, topical medication can handle the problem. In severe cases, you may need to have surgery in order to reverse the symptoms of scleritis. A corneal ulcer can result in eyes sensitive to light for many of the same reasons that a corneal abrasion does. Since this part of your eye is already inherently sensitive to light, having cornea problems can only make things worse. The main difference between a corneal ulcer from a corneal abrasion is that a corneal ulcer is an open sore typically caused by an infection of bacteria (or fungi). It can be caused by an array of different sources. 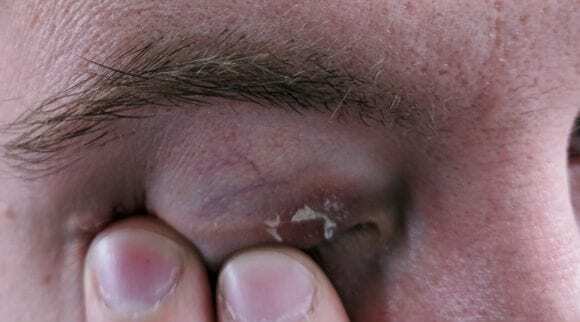 Any sort of complication which results in an open sore on your cornea can lead to a corneal ulcer. If you get a corneal ulcer, photophobia is a very common symptom to have because you’ve disrupted the clear, smooth surface of the front of the eye. Contact lenses have many different benefits for your eyes. From being able to see clearly to avoid the need for glasses, having contact lenses comes along with many different benefits. When you wear contact lenses for too long, your eyes can naturally start to become dryer and more prone to light sensitivity. To avoid this problem, make sure to only wear your contact lenses when you need them. 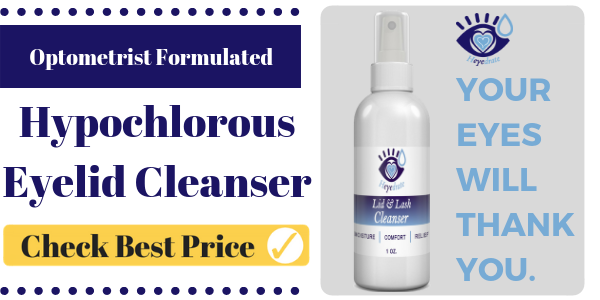 If you use them sparingly and still notice that you have problems with irritation and photophobia, you might need to discontinue their use for a few days. Dryness, irritation, and other complications can arise from wearing your contact lenses all the time, so giving your eyes a break is a must! If you get refractive surgery to correct your vision, it is very common to experience photophobia during your recovery process. After all, you just had your cornea adjusted. Although your doctor will typically inform you about the risks of photophobia in advance of your surgery, it is possible to experience heightened sensitivity to light after your surgery without previously being aware that it would occur. Usually, the symptoms will subside as your cornea heals. However, if you continue to experience photophobia several months after your surgery, you should visit your doctor. Also known as pink eye to some, those who suffer from conjunctivitis are also prone to developing photophobia symptoms. 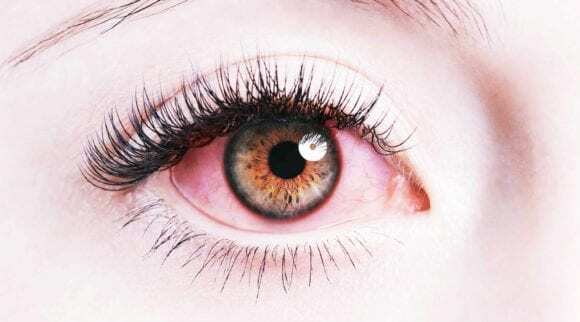 Alongside symptoms of itching, inflammation, discharge of mucus, and/or infection, it is possible that conjunctivitis will pair with increased sensitivity to light. To combat these symptoms, a doctor may advise you to do consistent warm compresses and use artificial tears. Usually, once conjunctivitis starts to subside the photophobia will also go away. 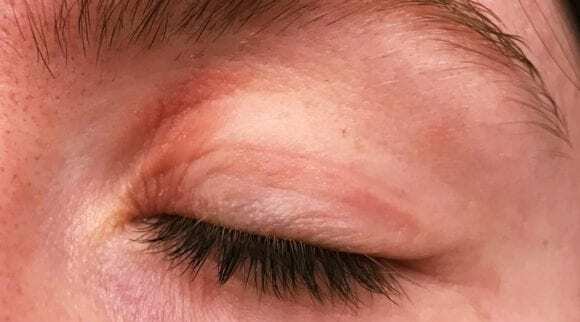 If you still have eyes sensitive to light after the pink eye symptoms go away, you probably are experiencing photophobia due to another condition. In many cases, having photophobia doesn’t necessarily mean that you need to pay a visit to the doctor. After all, there are common conditions like migraines which cause light sensitivity that aren’t any sort of medical emergency. In cases like these, you don’t necessarily need to go to a doctor to hear that, indeed, migraines are what is making you have eyes sensitive to light. As we have explored, though, photophobia can also be a symptom of a condition which can result in a complete loss of vision in your eyes. Although there are many instances where you don’t need to visit the doctor for photophobia, there are certain circumstances where paying a visit to the doctor is heavily recommended. Here are some common scenarios where you should visit the doctor as soon as possible. The worst thing that you can do is experience uncomfortable symptoms like photophobia and just accept it as normal. If you have consistent photophobia symptoms and aren’t sure why you are essentially gambling with your health. Photophobia is a condition which can be caused by an array of different conditions. If you aren’t sure why you are experiencing a symptom like this, it’s possible that you have a condition which could even result in a complete loss of your vision. In order to take the safe route, those who have photophobia should consult a doctor when they aren’t sure what the source of the problem is. If anything, you will receive the peace of mind that your light sensitivity will be under control soon. If you recently suffered some sort of injury or trauma to your eyes, photophobia is a common symptom that you may experience. Although the photophobia may be uncomfortable in scenarios like these, the health of your eyes should be a lot more crucial to you. Injury to your eyes is not something which always heals on its own. Especially if you have a cut which turns into an infection. Those who recently suffered trauma or some sort of injury to their eyes should immediately visit the doctor. In cases like these, the symptoms of light sensitivity should be the least of your concerns. The health of your eyes can soon be compromised if you don’t visit a doctor after trauma. The first time you notice a symptom like photophobia could be the first sign that something is wrong. If you are accustomed to going about your daily lives without experiencing light sensitivity and all of a sudden notice that you have photophobia, it is a wise decision to pay a visit to the doctor. As you go to the doctor to get routine check-ups and examinations, you should also go to the doctor whenever you notice a new trend or set of symptoms that don’t seem right. Although you may feel fine and comfortable with your condition, things can quickly change. As a result, anybody who experiences photophobia, pain, or an intense red eye for the first time should go and receive the opinion of a doctor right away. Now that we have explored many of the main causes of photophobia, we can now conduct a more in-depth exploration of how to treat photophobia. As we mentioned, the cause of your light sensitivity is the first thing to consider. If you aren’t sure what is causing you to have eyes sensitive to light, you should go straight to the doctor and get a proper diagnosis. If you already know the condition which is causing you to experience light sensitivity, then you are now ready to explore some of the many different ways to treat this symptom, and hopefully, make it go away for good. The following section will separate common treatment options into sections of the common causes of light sensitivity. If you have a migraine, one of the first things that you should do is go indoors and lie down. To avoid photophobia, make sure that you are in a place where there is very minimal light, if any at all. If you don’t notice that the pain and sensitivity go away, you should try placing a cold pack of ice onto your forehead and continue resting for a little while. If you don’t have ice, try taking a cold shower or just going to sleep. To relieve the pain in your head, you might also consider using pain medications or natural remedies. If the symptoms are considerably uncomfortable, you can always go to the doctor and get professional treatment. If you have a condition where inflammation is causing photophobia like scleritis or uveitis, a visit to the doctor should be one of the first things that you do. Inflammation in your eyes may not go away on its own. It can even end up producing a condition which is much more severe and potentially threatening to your vision. A doctor will typically prescribe you medication which fights the inflammation, such as steroid eye drops. Once the inflammation goes away, your photophobia should also subside. This is one of the most urgent types of conditions to cause photophobia. If you have inflammation symptoms and light sensitivity, you should go to the doctor right away. There are many ways that dryness can cause light sensitivity. 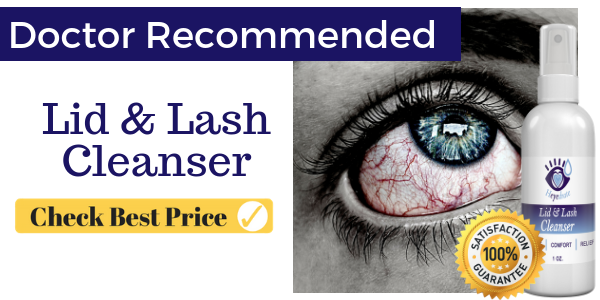 From wearing contacts too long to having a condition like conjunctivitis, blepharitis, and beyond. Some of the common ways to fight conditions like these include consistent warm compresses, artificial tears, and any other sort of treatment or medication which is dependent on your personal condition. 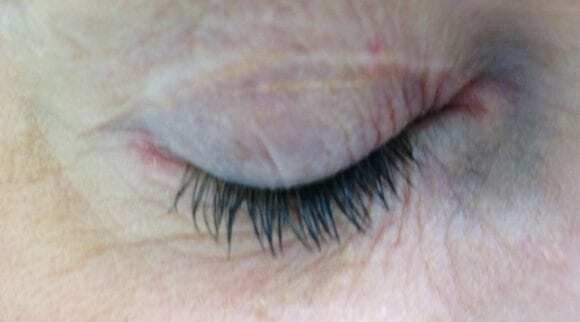 To fight the dryness itself, though, you should definitely have an eyelid hygiene regimen in place. We love the Heyedrate Lid and Lash Cleanser for use twice daily, because it helps keep the eyelids clean and healthy. Of course, though, make sure to consult with your doctor to ensure that there isn’t any further medication you can take to help make your symptoms subside quicker. If you have an infection in your eyes, photophobia is a pretty common symptom to experience. You won’t be able to make the light sensitivity go away until you make the infection go away, though. If you have a bacterial infection, antibiotics will be a common thing for the doctor to prescribe for you. If you have a viral infection, though, it can be a little more complicated. In any case, those with an infection will need to visit the doctor in order to ensure that they receive the best possible form of treatment. Sometimes, people have eyes which are inherently more sensitive to light than others and they may have just been born this way. 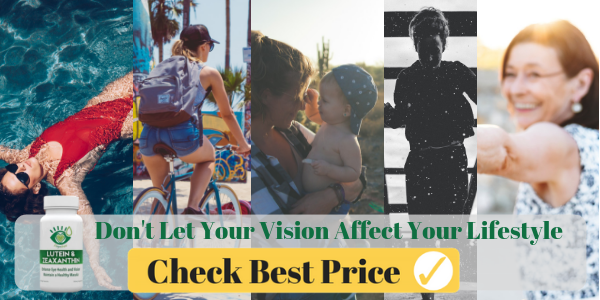 If you are simply sick of experiencing photophobia and want to have this issue permanently sorted, you might consider a pair of polarized sunglasses for use while outdoors or even near a big window. Something affordable like your average pair of sunglasses can have a big effect on your light sensitivity symptoms. 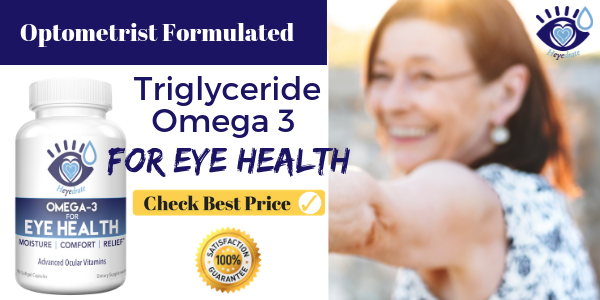 This is a very affordable option and will ensure that you will rarely have eyes sensitive to light and be in a helpless position where you need to visit the doctor immediately. Photophobia is not any just type of eye condition. It is a symptom of other conditions. 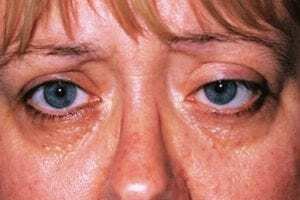 Accordingly, anybody who has this symptom will need to determine the root cause of their photophobia before they are able to treat the symptoms. If you aren’t able to determine the cause of your light sensitivity right away, you should consider getting special contacts or tinted glasses to combat the symptoms while you are awaiting your diagnosis. In any case, photophobia is normally nothing to worry about. 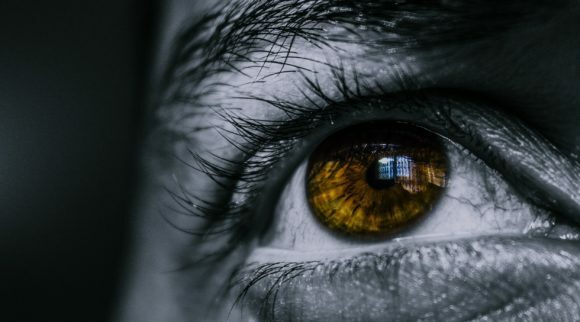 Although there are circumstances where those with eyes sensitive to light can end up developing a condition which risks their vision, many cases are easily handled.